The art of communication has changed dramatically over the past few decades. With the advent of email, we stopped writing letters. Then, with Facebook, blogs, and Instagram, we started posting information to all our friends and family at once, but stopped communicating with each friend or family on an individual, personal level. And Twitter shortened our communication with people to short messages, slogans, and hashtags. As the culture changed how it communicated, so have many churches. Churches used to write all kinds of church letters, be they church invitation letters, donation letters, or even Christmas cards, but fewer and fewer church letters are being sent each year and that’s unfortunate. Please don’t misunderstand. The information revolution has done some amazing things for communication. Churches have never been able to communicate with as many people as efficiently as they can today, but in some ways we have also lost some aspects of communication. We live in an age of impersonal, non-tangible 1’s and 0’s, but the last thing the church should be is impersonal and non-tangible. Logged in Members, CLICK HERE to view and/or copy full text! Each Church Letter Writing Tip builds off an acrostic based on the words “Church Letters”. 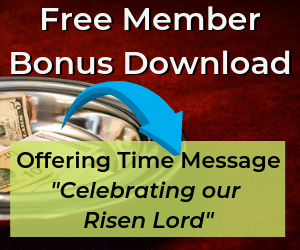 At the bottom of each tip is a free sample church letter which may be used within your own church communications. This letter may not be posted on any competitive website. When your letter is read, you don’t want it to be similar to some bad commercials on television that may have looked and sounded good, but upon completion of viewing (or reading), the person looks back and wonders “what that was all about”. If you are writing a letter to thank a person for visiting your church, be sure to do exactly that… then go on to tell them about the ministries that are available to them. Be sure to answer the five basics of “Who, What, When, Where, Why”, and within those basics be sure the person knows what to do upon completing the reading of the letter or greeting card. Our second lesson in “13 Tips For Church Letter Writing Success” will build off the letter “H” in our Church Letters acrostic. One of the reasons for writing the letter is to encourage the receiver, and to provide inspiration and hope for tomorrow. They will appreciate your positive approach to the situation, and you can certainly do this without being “fake”. Doesn’t the Word of God provide hope for each and every situation? Philip. 4:13 – “I can do everything through him who gives me strength.” People need to be reminded of the fact that God is in control regardless of our ability to understand ALL His ways. When I say, be “hopeful”, I simply mean have a tone of hopefulness in your letter writing, as well as when you speak with them face to face, or on the phone. People will often gain new strength for the next day when they realize someone else believes in them, as well as offering assurance of our God who is in ultimate control! Our third lesson in “13 Tips For Church Letter Writing Success” will build off the letter “U” in our Church Letters acrostic. We often fail to put ourselves into the “shoes of another” and thereby do not understand the situation they are going through. The most difficult time to understand is when we have not gone through the situation in our own lives. We will find this to be the case very often in our ministry to others, however it is in those situations we must ask for the help of the Holy Spirit to provide the right level of understanding and compassion to properly minister to them. We can often be too caught up in thinking of what our response is going to be even before the person is done talking. When we do this, we are “hearing”, but not “listening”. Even when writing cards or letters, we can get too “preachy” when the person just needs to know we are there for them if, and when they are ready to share with us on a more personal level. When you don’t understand immediately, at least have the attitude and spirit conveyed to them that you are open to learning more about the situation, and praying with them as the need arises. Our fourth lesson in “13 Tips For Church Letter Writing Success” will build off the letter “R” in our Church Letters acrostic. If you close your letter encouraging the person to get in touch with you if they are in need of anything, be sure to provide them with a way to get in touch *and* then be available. While this may be difficult for leaders of larger congregations, you will find that most people will be sensitive to your unique situation. You may also provide other avenues of ministry that will help them. After all, even WE don’t have all the answers, but God has placed many gifts in the church that are available to be used. Provide phone numbers, (yes, even cell phone numbers), and e-mail addresses so that people can get in touch with you or someone designated for that particular ministry. While Jesus was teaching the masses, we see time after time that He stopped to minister to individuals, and even a few times when his disciples attempted to turn away the very people the Lord was reaching! He responded to the touch of the infirmed woman who touched the hem of His garment. He spoke at length with the woman at the well who in turn reached her community. He stopped and called Zachaeus down from the tree and went to his home. Nicodemus came to Him at night, and Jesus responded to his need. The key is being responsive, and yes, approachable! Our fifth lesson in “13 Tips For Church Letter Writing Success” will build off the letter “C” in our Church Letters acrostic. People have an amazing ability to catch on to “favoritism”, and will certainly notice if certain people receive letters or encouraging e-mails and others do not. As Church leaders, it is our calling to reflect the attitude of Christ in dealing with people, and that includes going out our way to minister to the one who may be “down and out”, as well as the one who seemingly has it “all” together. Work on the development of a new habit of sending a card or letter “just because” to someone in the congregation, or to thank them for their service of ministry. Consistently send out birthday and anniversary congratulations as you collect this valuable information through church surveys. Develop a database for Church Membership to assist in this endeavor. If you are in search of a cost effective web-based system, please feel free to contact us for the name of the company we recommend. It is far less expensive than most of what is available for web-based systems. Use reminders and other tools to help you remember! Even a pen and paper is better than nothing… Consistency is something where you don’t notice the results overnight, yet with continually doing the right things, your people will see that you really DO care enough to consistently reach out to them with concern and care, congratulations and compassion! Our sixth lesson in “13 Tips For Church Letter Writing Success” will build off the letter “H” in our Church Letters acrostic. Perhaps you know of community agencies or church ministries that are available to the person or family you are writing to. If you have a “Young Marrieds” small group and you are writing to a young couple about a particular issue, then you may want to provide the contact information for the leader of that small group. Again, be sensitive to what their needs are and begin to think of ways you can provide help to them. If you have a young family visit your church, then you will want to be sure they know of some of the programs and ministries available to minister to their needs. Insert a brochure about that ministry, and be sure to forward contact information on to relevant ministries who in turn could get in touch with the prospective family. For the most part, when people visit a new church, it’s not so much about what they can do for the church, but it’s about what the church can do for them. No, that’s not selfish… it’s the reality and the “norm” when people are looking for a church for their family to attend. The serving and ministry will come later as they are assimilated into the church, and develop a sense of “ownership” for it’s ministry. Instead of talking to their friends about “this” church, or “the” church, they will soon enough say “my” church, or “our” church”. Our communication to them must be helpful, especially in the initial stages as they develop this familiarity and ownership. Have a good supply of letters available to send at a moments notice. 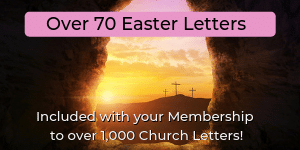 Most letters can be used again with some modification, and while we would like to think we can sit down at every situation and write a “brand new” letter because we believe it will be more personal, the fact is, most church leaders don’t do this. 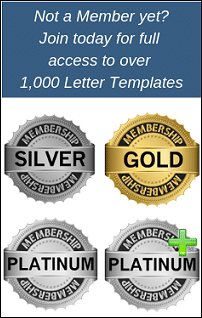 There is the “ideal” (crafting a new letter from scratch every time), then there is “reality” (modifying letters we have already used, or available through services like https://churchletters.org). For example, one Sunday we were having a service of recognition for graduates and realized in our rush to prepare other things had forgotten to prepare letters of congratulations. Not to panic. We went to Ministry Letters and modified one of the letters there, and printed out 6 letters, personalized and ready for delivery during the service all within the time span of about 10 minutes. This was being “Letter-Ready”. The idea for this point though, is to realize that there will be times in ministry that are not anticipated, and while people would “understand” if you don’t have the “time”, the benefits of having a letter or card ready to send will truly enhance your ministry communication efforts.